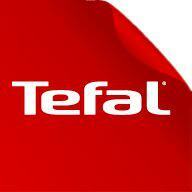 TEFAL designs products for your home but it goes further. It enhances skills in domestic activities. TEFAL products offer success in what you undertake in order to share its pleasure. Life is meant to be lived with family and friends. Cooking is one of the great pleasures of life. The kitchen is one of the home’s favourite rooms. This is why Tefal aims at offering cooking recipes, advice, lessons and tools to enjoy those moments of pleasure to the full.